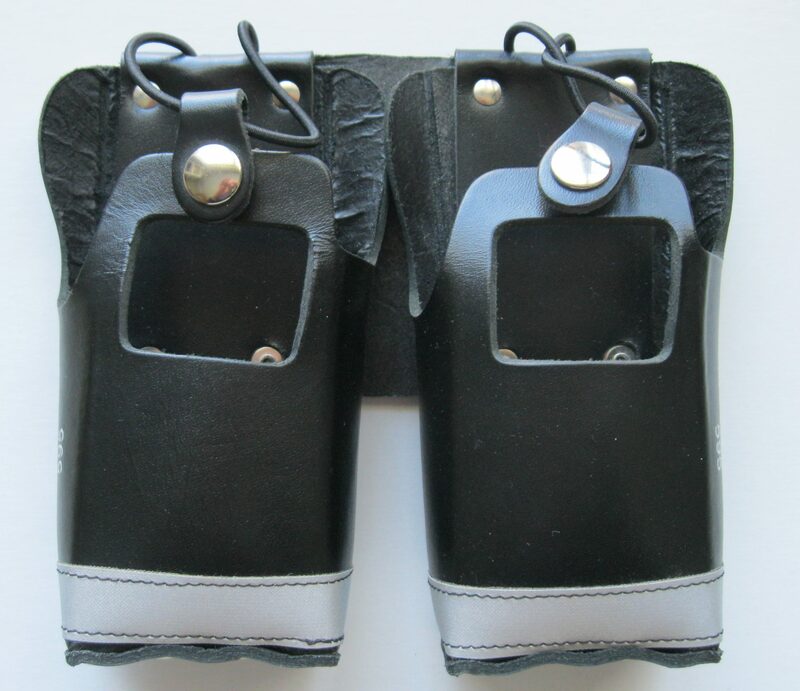 This Custom Case is made by riveting two separate individual cases side-by-side onto a rear leather plate. PLEASE CALL TO ORDER ! You must specify radio model types to be mounted.